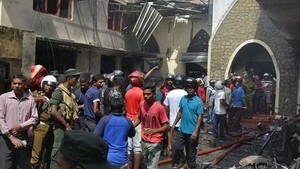 The Vietnamese embassy in Egypt on December 31 had the last working session with the working team of Ho Chi Minh City to review and finalize the list of the nine tourists who suffered light injuries or were not injured in the earlier bomb attack to go back home in the first batch. At the meeting, they checked the health conditions and documents of the tourists in the group. The nine departed in the evening of December 31 and are scheduled to arrive at Tan Son Nhat airport in Ho Chi Minh City in the evening of January 1. Besides, authorities also completed documents related to the bodies of the three victims whose relatives were brought to the hospital where they were kept to help with the identification work. The bodies will be repatriated at the earliest time possible while the heavily injured will go back home after they recover. Representatives of the embassy and the working team later visited Sheikh Zayed hospital, where the victims are treated after the December 28 attack. They were briefed on the conditions of the victims and agreed on the plan to repatriate the tourists to ensure their safety and save time.